Who doesn’t love chocolate chip cookies? What makes these cookies taste so decadent is imported, hand chopped, dark ( 70% cocoa ) Belgian chocolate. 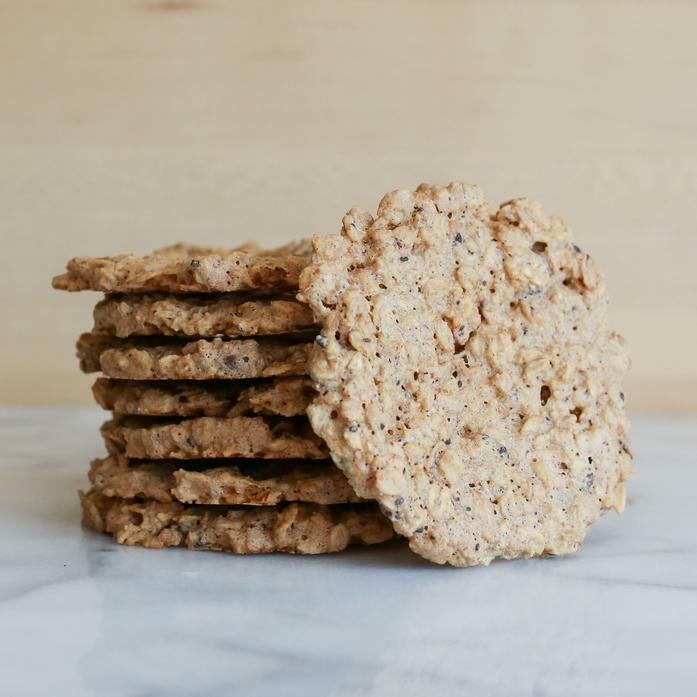 Little pieces of chocolate run thru this “trainer approved” 100% oat cookie.